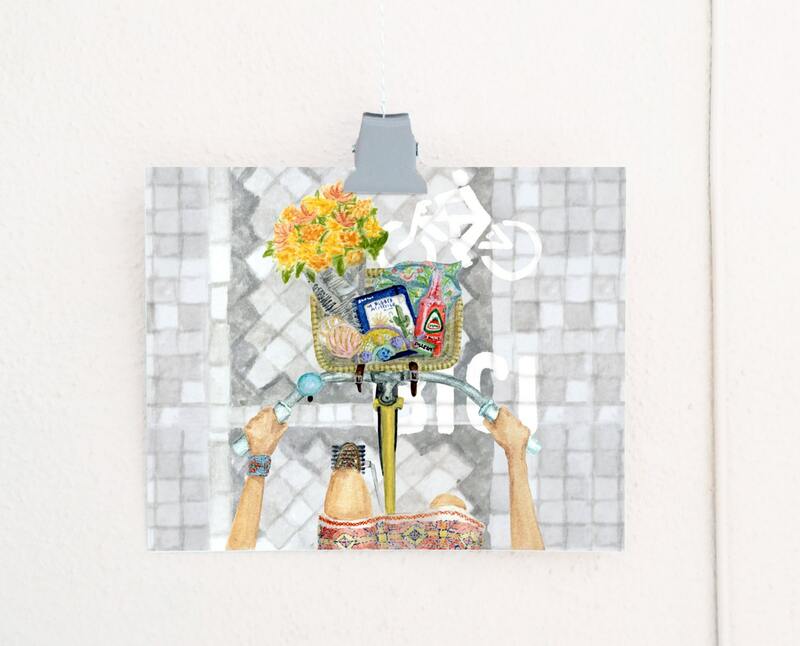 This bicycle wall art is perfect for cyclists with a case of wanderlust! 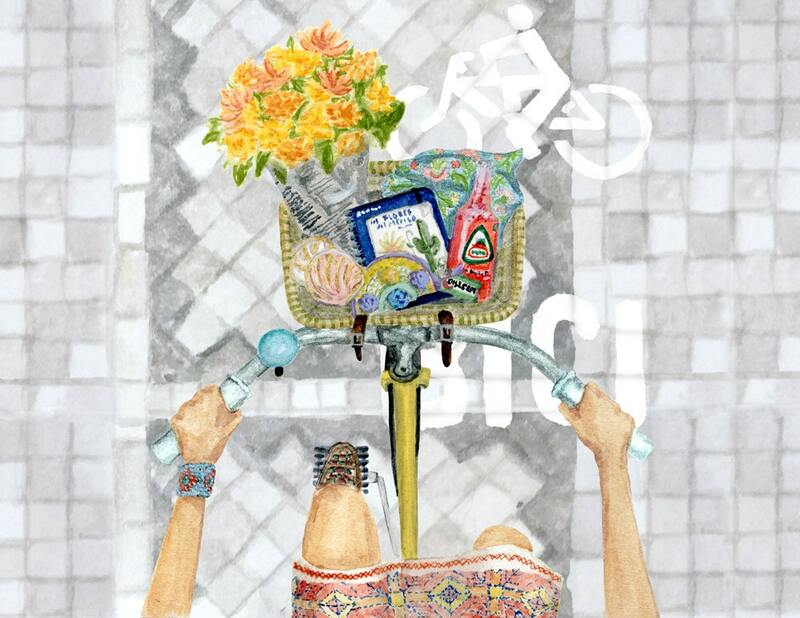 A travel poster featuring a view into a bike basket filled with everything you need for a day of bicycle touring in Oaxaca, Mexico. This travel poster is created using pigment inks on acid-free paper for longevity and to maintain accuracy to the original watercolor bicycle painting.